ASIA IS WITNESSING A POLLUTION problem on an unprecedented level. I have lived and breathed it. I traveled to Northern China and Mongolia during this year’s winter of discontent. December and January are the months renowned for the worst of the toxic skies. Thick menacing smogs roll in and suffocate entire cities and provinces at this time of year. On the worst days I struggled to see the sun. It is like living in the shadows of Mordor. I would not wish these living conditions on my worst enemy and yet half a billion people have to deal with the problem in this region of the world. It is a very real and worrying indicator of the human impact upon our environment. Blue sky is a sight to be treasured. 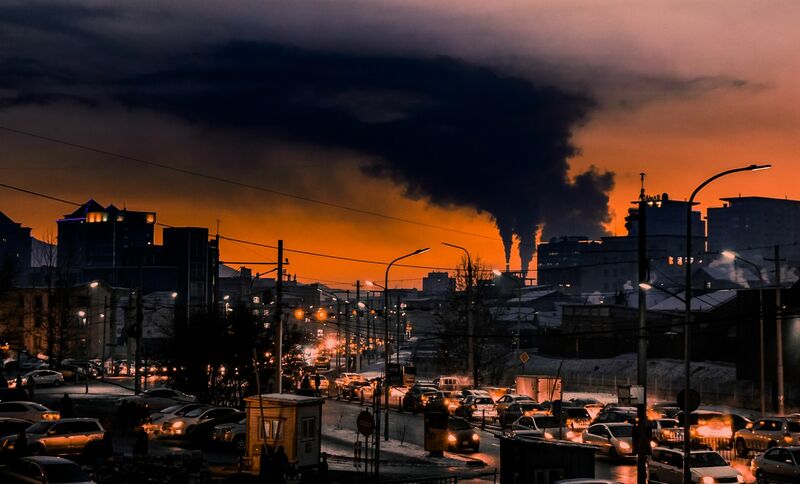 Apocalyptic scenes in downtown Ulaanbaatar during rush hour. All photos by author. There are a number of reasons why the smog exists: the burning of fossil fuels, steel production, an increase in car ownership, poorly enforced environmental regulations, corruption, and unfavorable weather conditions (often used as a scapegoat). Coal and vehicle fumes are largely to blame to for the poor air quality. In China’s ever-expanding megapolises, city planning has been rushed and not thought through using common sense. Quite often there is no distinction between industrial zones and residential areas. Coal power stations exist side by side with inner city residential apartment blocks. In the Chinese and Mongolian capitals — Beijing and Ulaanbaatar — the level of 2.5M particles in the atmosphere has been measured at over 40 times the recommended exposure amount set by the World Health Organization. 2.5M is a general term for a tiny particle found in fumes. It can travel deep into the lungs and corrode away the lungs alveoli. It is linked to a number of illnesses — asthma, bronchitis, lung cancer. The pollution particle contributes to 1.6 million deaths per year in China. The Air Mask — winter’s ‘Must Have’ accessory to complete the Beijing look. 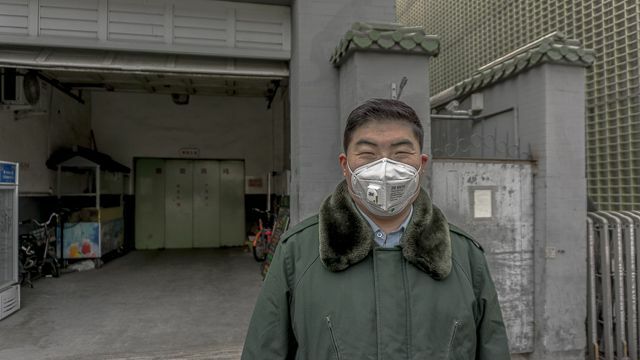 In Beijing she wears an industrial-grade 2.5M filter face mask out in public — a growing trend amongst all age groups in China. Even fashion designers have jumped on the bandwagon by bringing out air masks that are more appealing on the eye. This mirrors the public’s growing awareness and represents an attempt to move away from the ‘biological-weirdo’ stigma that has been attached to the first few who wore the mask. However, the stigma still exists and because of this people refuse to wear the masks. Many Chinese citizens are also skeptical of the effectiveness of anti-pollution masks. There is a belief that the masks will only gather pollutants which will then be clustered around the user’s airways resulting in a higher exposure over the course of a day. No doubt this is true for masks on the lower end of the market without the correct filters. Regardless, the mask is only a response to the pollution, not a resolution. Ivy hopes that the smog will draw attention to the importance of environmental protection, an area that the Chinese have held in low regard since the country began a process of rapid industrialization. It is true that the people of China are waking up to the pollution problem. 2017 saw the first of China’s environmental protests. At the time of writing (February, 2017) mass protests have erupted in the Daqing over high pollution levels and a proposed new aluminum plant close to the to city centre. I witnessed the aftermath of a protest in Chengdu the capital of Sichuan province. Protesters occupied Chengdu’s central square after hearing the Government’s announcement to build yet another petrochemical plant in the suburbs of the city. The protest was short lived, crushed by the military who arrived in armored vehicles complete with mounted machine guns. The Chinese authorities do not take kindly to those who protest and the entire square was cordoned off and closed for an indefinite period of time. The heavy handed crowd control tactics have caused protesters to seek alternative methods of raising public awareness to the pollution problem. A creative trend whereby air masks were placed on iconic statues in city centers went viral on China’s Facebook equivalent, WeChat. Protests like this are aimed at combating the official narrative relayed to the people. For example, the media refuses to use words like ‘smog’ and ‘pollution’. In an attempt to desensitize the severity of the situation the media opt to use poetic vocabulary like “the winter haze.” The cause of the pollution is not addressed by the media and neither the impact it has on health. This is not surprising in a country where Google and Facebook are both banned. Information is restricted. I should mention that the Chinese Government has tried to reduce and mitigate the effects of air pollution, perhaps responding to a shift in public awareness. When all eyes were on China in the run up to the 2008 Beijing Olympics, industrial production was suspended and vehicle use restricted in the Hebei region. This resulted in a week of clear blue skies. Once the sporting event finished it was back to business as usual and the toxic clouds descended over Beijing. In Shanghai, futuristic plans are in motion to place giant air vacuum cleaners on top of skyscrapers. However, air cleaners will not suffice as they do not tackle the root cause. Today, the real answer lies in clean energy. Surprisingly, China is the world’s largest investor in renewable energy and the largest producer of solar power. However, it still relies heavily on coal power. Renewable energy does not cancel out the amount of coal being burnt. China is still burning 47% of the world’s coal. If we want our skies to be clear again then all emissions must cease. An armoured military vehicle locks down Chengdu’s Central Square. My worst fear is that China will plough on blindly into the future pursuing its own economic interests at the expense of the environment and the atmosphere we breathe. If this is the case then I predict an environmental refugee problem of an enormous scale during the 21st Century. 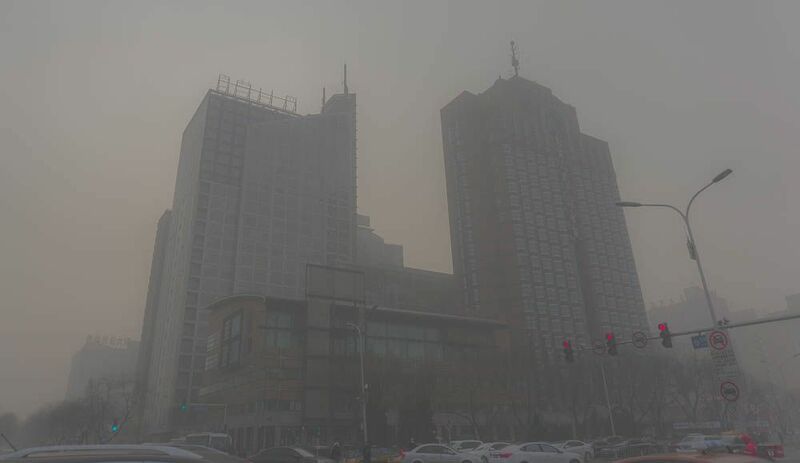 It is already happening for affluent smog refugees who can afford to relocate during the Chinese winter. I can’t see an end in sight when the Chinese Communist Party hold absolute power over decision making and the exposure to information. Scientists warned us about the devastating changes we humans are inflicting on our planet. Visit China in the winter months and you can see (or not see) for yourself. Make sure you pack your pollution mask!